Research at the Hubrecht Institute is pioneering in developmental and stem cell biology. The institute encompasses 24 research groups that perform fundamental, multidisciplinary research on healthy and diseased cells, tissues and organisms. The Hubrecht Institute is a research institute of the Royal Netherlands Academy of Arts and Sciences (KNAW), situated on the Utrecht Science Park ‘De Uithof’. Since 2008, the Hubrecht is affiliated with the UMC Utrecht. This allowed the institute to grow into an internationally renowned research institute and facilitated the link with (pre)clinical research. 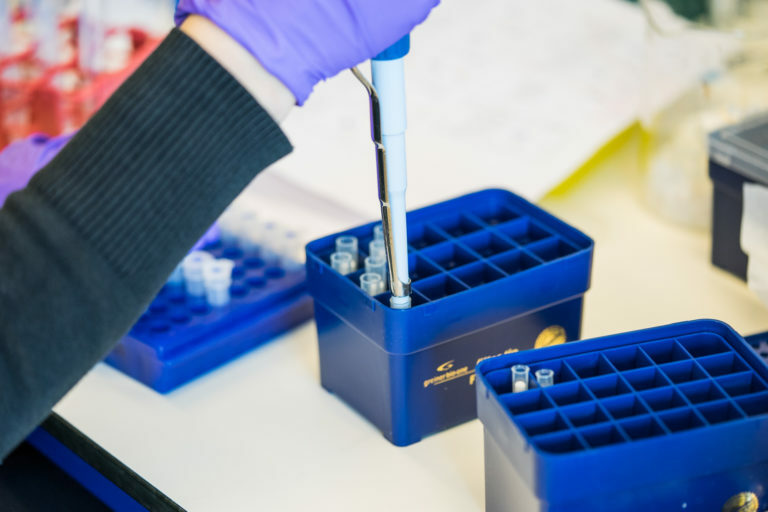 The Hubrecht Institute has a partnership with the European Molecular Biology Laboratory (EMBL) based on shared institutional goals, scientific synergy and complementarity. Research at the Hubrecht Institute is diverse and covers many aspects of developmental and stem cell biology including signaling in stem cells and early development, cardiac development, regeneration, epigenetics, genome architecture, cell cycle control, DNA repair, gene expression dynamics and quantitative biology of gene expression, leading to innovation in treatment of cancer, diabetes and cardiovascular diseases among others. The Hubrecht Institute utilizes a unique array of research models to address the different research questions, including mice, frogs, zebrafish, flies, worms, tissue culture cells and organoids. A center for interdisciplinary biomedical research. One of the main goals of the Hubrecht Institute is to build an interdisciplinary institute that can tackle the most important problems in modern biology and medicine. During the last five years this interdisciplinary approach strengthened significantly. For example, during the last year more than half of the top publications from the Hubrecht Institute involved more than two Hubrecht groups, demonstrating the collaborative spirit. This aspect will continue to be strengthened by recruitment of complementary groups and stimulation of interdisciplinary research. Developing and transferring novel biomedical methods and technology. The Institute is very strong in developing new methods and transferring this knowledge to institutes and universities in the Netherlands and beyond. 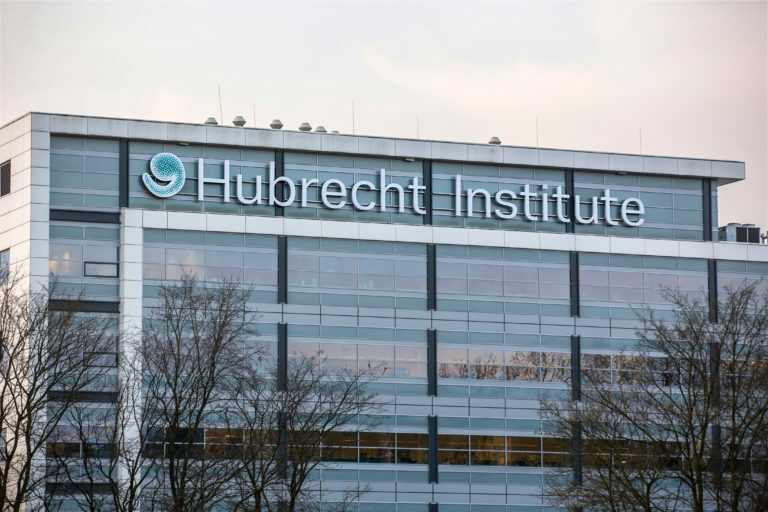 Technologies including organoid technology, single-cell sequencing, and non-invasive prenatal testing were all developed at the Hubrecht Institute and are now implemented with our help at many other institutes and universities in the Netherlands. A magnet for young talent. During the last five years, the Hubrecht Institute has been very successful in attracting young talented group leaders who started a tenure track at our institute. All these recruits have secured an ERC Starter or Consolidator grant demonstrating that their potential is also recognized by this major funding agency. A springboard for senior group leaders. The Hubrecht Institute has an impressive track record in delivering the scientific leaders of the future. On average, one group leader annually moves on to a new position outside the Institute. Many of these positions are leadership positions, such as institute director or head of department. A breeding ground for spin off companies. Research at the Hubrecht Institute has direct implications for translational and clinical applications. Technology is transferred to society as efficiently as possible. 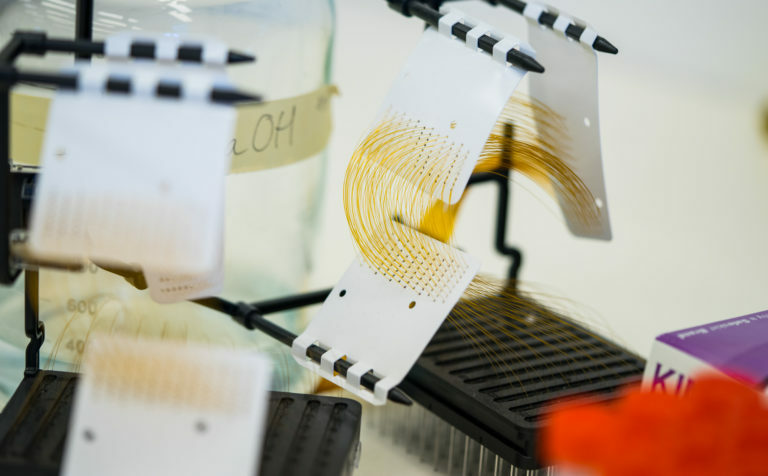 Currently, three private partners distribute technologies developed at the Hubrecht Institute. Presently, the Hubrecht Institute supports 24 research groups with a total of around 280 employees. The research groups operate in an independent manner and scientific quality is guaranteed by yearly internal evaluations and by site visit committees every six years according to the Standard Evaluation Protocol (SEP). In addition to a highly interactive and international scientific environment, excellent research facilities are available on-site. The Hubrecht is a highly dynamic, diverse and young institute where the average age of the researchers is around 30 and more than 30 different nationalities are represented. The institute aims to grow to 25 groups in the coming years. The board of directors, consisting of Prof. Alexander van Oudenaarden (director), Prof. Jeroen den Hertog (deputy director research) and Dr. Mariëtte Oosterwegel (managing director), maintains a flat organizational structure with tenure track positions for junior group leaders. This has been a successful model in which the group leader has full scientific freedom and the organization can act decisively and flexibly. 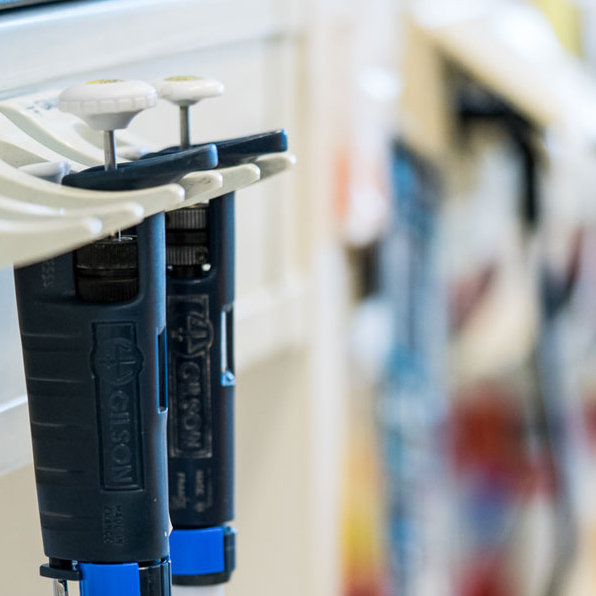 The Hubrecht Institute provides an infrastructure that embeds the group in an efficient facility support so that group leaders can focus on the research. 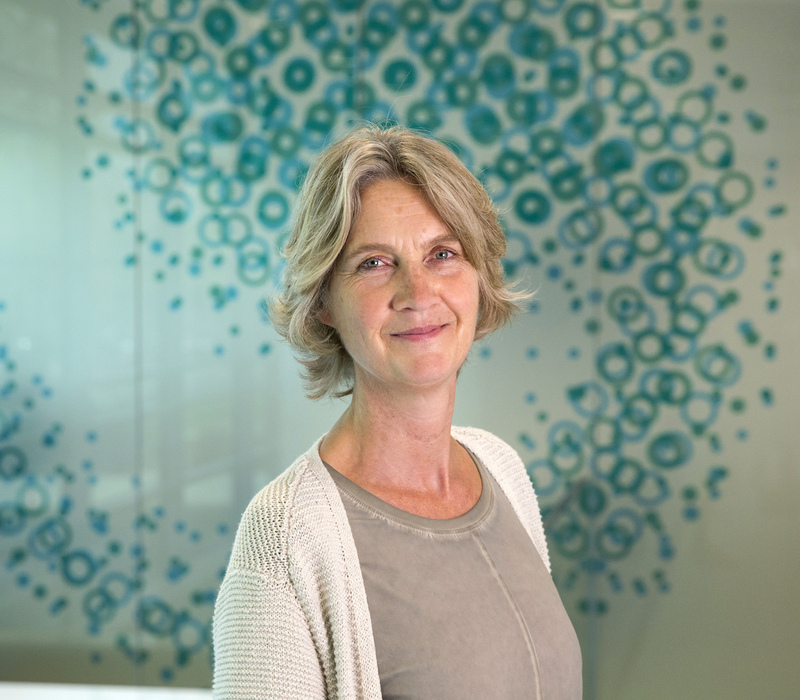 Mariëtte Oosterwegel is the managing director of the Hubrecht Institute and the Westerdijk Fungal Biodiversity Institute, another research institute of the KNAW in Utrecht. She is responsible for the service departments: Finance, HR, IT, facilities and communication. Jeroen den Hertog, as deputy director research, is responsible for the research infrastructure, including the animal facility and media kitchen, technology transfer and education of Msc and PhD students. The Hubrecht Institute is situated on Utrecht Science Park ‘De Uithof’ (USP), which provides a home base for Utrecht University, University Medical Center Utrecht, HU Utrecht University of Applied Sciences and various small and large companies. USP is a vibrant and exciting place to study and work. Life Sciences and Health is one of the main themes of research and education. Utrecht Life Sciences is a platform that supports collaboration and innovation. Utrecht Science Park is only 15 minutes away from downtown Utrecht: a lively, charming university town. From Utrecht Central Station, it takes only 30 min to get to Amsterdam airport, Schiphol, an international hub for most major airlines. The Hubrecht Institute collaborates with numerous laboratories, internationally, nationally and locally, always aiming to improve our research. The Hubrecht Institute is part of the Royal Netherlands Academy of Arts and Sciences (KNAW) and has a special partnership with the UMC Utrecht, Utrecht University, Princess Máxima Center for pediatric oncology, the European Molecular Biology Laboratory (EMBL) and Oncode Institute. The Hubrecht Institute is one of the fifteen outstanding national research institutes of the Royal Netherlands Academy of Arts and Sciences (KNAW). The KNAW is the forum, conscience, and voice of the arts and sciences in the Netherlands. It promotes quality in science and scholarship and strives to ensure that Dutch scholars and scientists contribute to cultural, social and economic progress. Since 2008, the Hubrecht Institute is affiliated with University Medical Center Utrecht (UMC Utrecht), which belongs to the largest public healthcare institutions in the Netherlands and is an internationally leading healthcare provider, medical school and research institute that is exciting for its people, attractive to talent and embodies a culture of teamwork, innovation, sustainability and a competitive spirit. As a patient-centered organization, its 11,000 employees are dedicated to prevent disease, improve healthcare, develop new treatment methods and refine existing ones, with quality and patient safety as cornerstones. In the UMC Utrecht, research is concentrated in six programs with each a limited number of disease targets. The Hubrecht Institute has a tight collaboration with the UU on multiple levels: there is a lot of scientific collaboration, several PI’s are appointed as professor at the UU, all Hubrecht PhD students participate in the Graduate School of Life Sciences and various Master students perform their internships at one of the Hubrecht groups. Utrecht University is an international research university of the highest quality and the alma mater of many leading names, academics and scientists who have made an important contribution to the quality of society. Utrecht University is the largest university of the Netherlands, with 7 faculties, 6700 staff members, 600 professors, 550 PhD graduations per year, and 30.000 bachelor and master students. The Hubrecht Institute and PMC collaborate, especially using tumor organoids, single cell sequencing and intravital imaging of tumors. Hans Clevers is both group leader at the Hubrecht Institute and scientific director of the PMC, ensuring a steady relationship. Presently, researchers of the PMC work in the Hubrecht building. Máxima will open her own new hospital and research building at the Utrecht Science Park in May 2018. Founded in 1974, the European Molecular Biology Laboratory (EMBL) is Europe’s flagship laboratory for the life sciences – an intergovernmental organization with more than 80 independent research groups covering the spectrum of molecular biology. It operates across six sites (Heidelberg, Barcelona, Hamburg, Grenoble, Rome and EMBL-EBI Hinxton) and has 9 partnerships, including the Hubrecht Institute. Oncode Institute is a virtual, independent research institute dedicated to outsmarting cancer and impacting lives. Oncode includes 62 research groups of the Dutch University Medical Centers, the Hubrecht Institute and the Netherlands Cancer Institute. The cornerstones of Oncode are excellent research, intensive cooperation and bringing new treatments faster to the clinic. 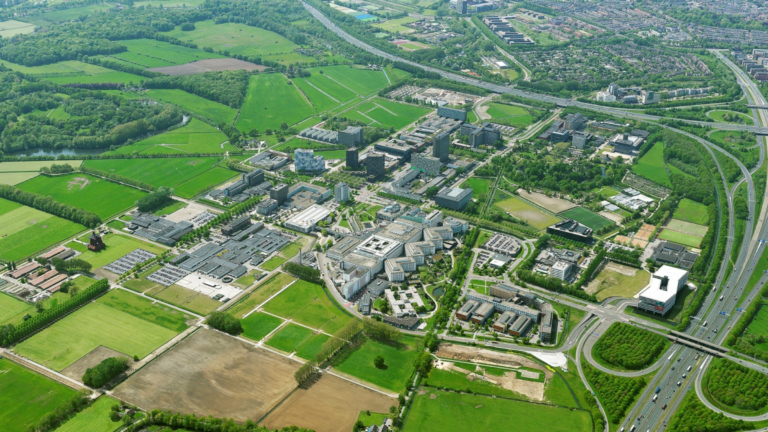 The Dutch Cancer Society (KWF), the ministries of Economic Affairs and Climate Policy (EZK), Education, Culture and Science (OCW) and Health, Welfare and Sports (VWS), Health~Holland, NWO and ZonMw invest 120 million euros in Oncode Institute. 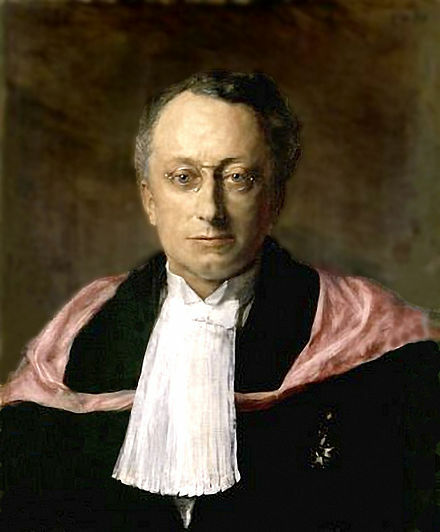 The Hubrecht Institute was named after Ambrosius Arnold Willem Hubrecht (1853-1915), professor of Zoology in the Faculty of Medicine of Utrecht University. He lived at the Janskerkhof in Utrecht, an official residence that later also contained the Anatomy/Embryology Laboratory and the Anatomy Museum of Utrecht University. At the beginning of the 1880s Hubrecht corresponded with Charles Darwin, who paved the way for the theory of evolution in his book “On the origin of species”. During his life Hubrecht assembled a vast amount of embryonic material from a number of species, particularly from the former Dutch colonies of the East Indies. In 1916, after Hubrecht’s death, the first Hubrecht Laboratory was established in Hubrecht’s residence at Janskerkhof. In the 1960’s, the Hubrecht Laboratory moved to a new building in the Uithof of Utrecht (nowadays called Utrecht Science Park the Uithof). Here, several important advances in developmental biology were made, including the pioneering work of Pieter Nieuwkoop, after whom the area of an embryo called the “Nieuwkoop center” is named. In 2000 the Hubrecht moved into a new, larger building built alongside the old building to accommodate the growing number of research groups. In 2007 the name was changed from Hubrecht Laboratory to Hubrecht Institute. The Hubrecht Institute further expanded in 2015 with a new laboratory building that was attached to the old building. Researchers from the UMC Utrecht work alongside researchers from the Hubrecht Institute in this new building. In 2016, the Hubrecht Institute celebrated its 100th anniversary. Among other things, a celebratory issue of Developmental Biology was published. The Hubrecht Institute strongly supports open access of all scientific publications. Therefore, we provide PDF files of all publications on our website for personal use. In addition, the institute subsidizes open access publication via the golden route. Around 280 people from more than 30 different countries work at the Hubrecht Institute for Developmental Biology and Stem Cell Research. The Hubrecht Institute is a lively, international research community that is supported by high quality services. The Hubrecht aims to be a springboard for talent and offers its employees the opportunity for personal and professional development, through a wide variety of workshops and courses, including those organized by our mother organization the Royal Netherlands Academy of Arts and Sciences (KNAW). In addition to external training, internal training is organized for all employees. The Hubrecht Institute also has a buddy system for PhD students and group leaders, in which senior employees listen to junior employees and offer advice and guidance. Currently, there are more than 70 PhD students at the Hubrecht Institute. All of these PhD students are affiliated with the Cancer, Stem Cells and Developmental Biology (CS&D) program of the Graduate School of Life Sciences (GSLS). As such, they can attend the complete range of courses organized by the PhD Course Center. In addition, the CS&D organizes a yearly masterclass with international speakers and a yearly retreat in which PhD students present their research to each other. At the start of their PhD, the PhD students draft a Training & Supervision Agreement (TSA) and during their PhD they have yearly meetings with their supervisory committee, which includes 2-3 independent researchers. People are our most valuable asset and we appreciate every employee for their contribution to the success of the institute. It is important to us that people feel safe and work together well. This is reflected by our broad introduction program, yearly evaluation meetings and regular drinks and outings to improve integration, collaboration and relaxation. Are you interested in working at the Hubrecht Institute? Have a look at our vacancies.